We have done several drives over the course of our 3 months in South America, all of which have been recommended by some guidebook or the other. The drive up from Sao Paulo to Rio via Paraty. The Linea Verde along Brazil’s North East coast, and, most recently, The Pan-American Highway from Nazca down to Arequipa and southern Peru. All have had good points, but frankly none have seemed up to the titles offered them of “most scenic”. 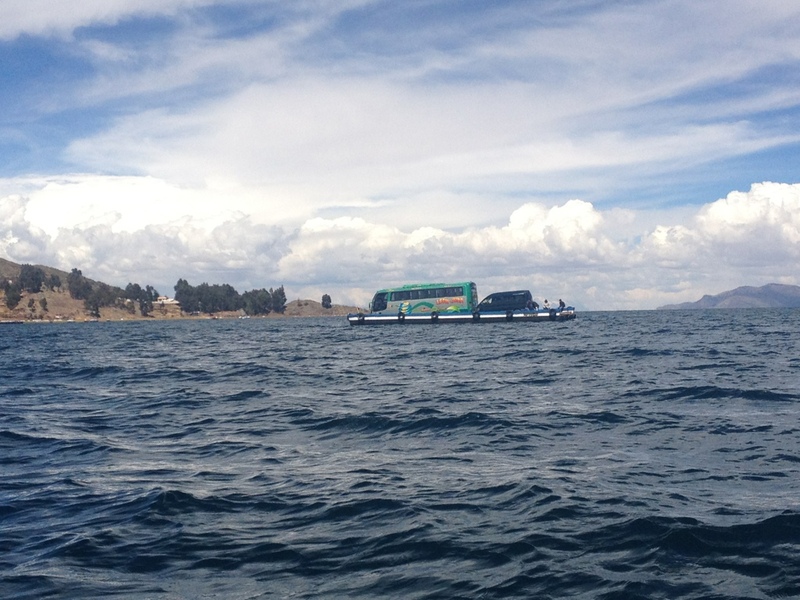 Then you board a bus for a route where the books say little more than “be careful at the boarder crossing” and expect nothing, but are treated to a breathtaking journey along the shores if Lake Titicaca, each bend hailing something different. Sometimes a glimpse of the lake through the countless eucalyptus trees that dot the lake, others of water on both sides as we traversed a headland. Just when we thought that we could somehow be in the Mediterranean we came to a tiny port town where the gringos were herded off the bus and on to small boats while the locals and buses were loaded on to rafts so that everything could be transferred to the other side of the lake. 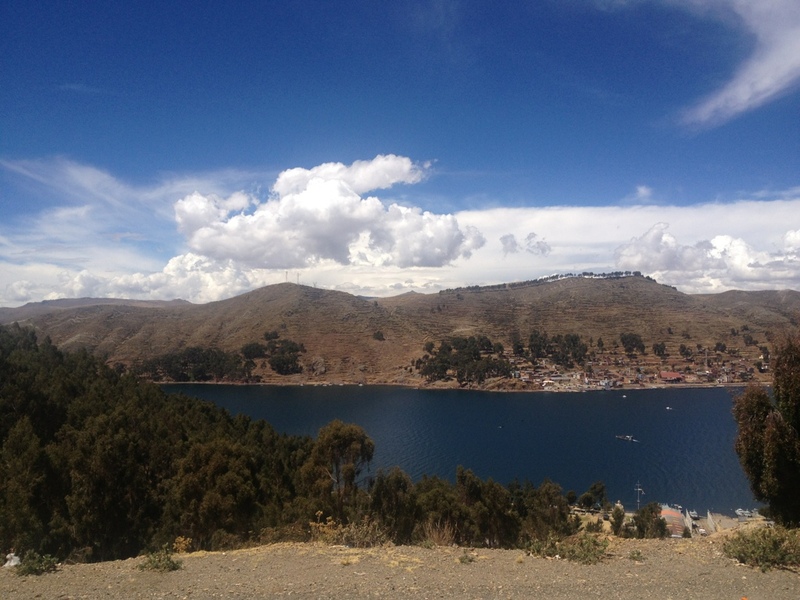 From there the route was admit idly downhill (technically uphill) as we crossed the barren wastelands of the Bolivian altiplano, but for 2 hours as we skirted Lake Titicaca from the Bolivian boarder, was the most scenic drive in South America… so far anyway!